Welcome, people of the Earth! It’s the middle of June already, so you will finally be seeing the products I loved this past month of May. First of all I want to apologize for the delay, but you know what they say.. better later than never! Those are the products I used a lot during the hard times of May(I had exams and prom and a lot of sleepless nights/due to parties/) to make me look fresh and nice:) And as it’s summer already, the bright colors make the day even nicer! 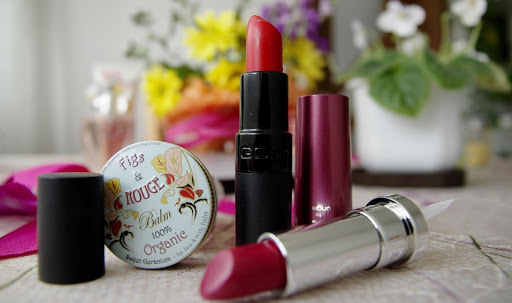 Figs and Rouge organic lip balm – it became my must-have item in the moment i opened it. 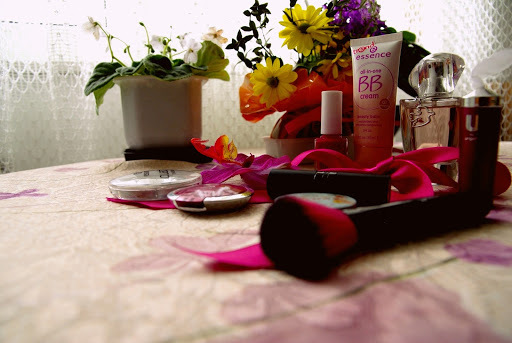 It was my favorite product from the March Prettybox, as it makes my lift soft and moisturized. AVON U by ungaro lipstick Runway pink – another colour I adore – a hot pink, perfect for spring and summer! These two guys up there are the perfect ones to get a fresh look within seconds. 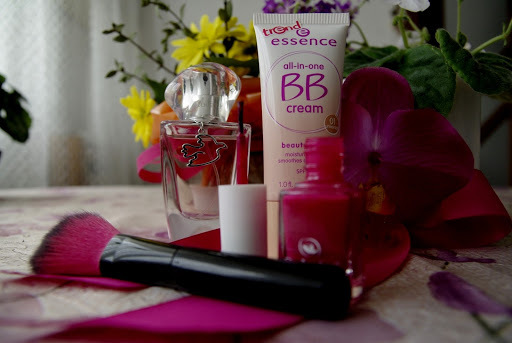 essence BB cream all-in-one #01 universal – as I am not a huge foundation fan, I needed something with coverage and light texture. I got this BB cream and I loved it. It really gives you a healthy look and makes imperfections less visible and an important fact is that it does not clog the pores. The SPF 30 is a great addition. Gabrini multivitamin #333 – just a random nail polish turned out to be great. It was very cheap (less than 1€) but has a beautiful and long lasting colour. I am in love with all kinds of pink nail polishes, so this was an amazing finding for me. 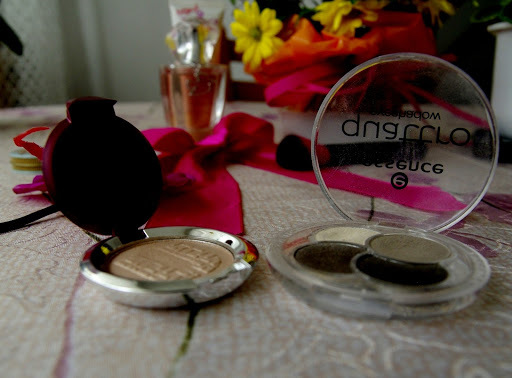 essence blush brush – I adore this brush. It is very affordable, it’s PINK and it is great. I mean, it doesn’t dissociates and it is perfect for blending in, contouring and blush application. Soooo… I hope you enjoyed this post, don’t forget to leave your comments below, telling me if you like some of those products and I also promise to update my blog more often! Next Post Life Update: where have I been?